Daylight saving time will begin at 2:00 AM on Sunday, March 11. It’s time to spring forward and move your clocks ahead one hour. 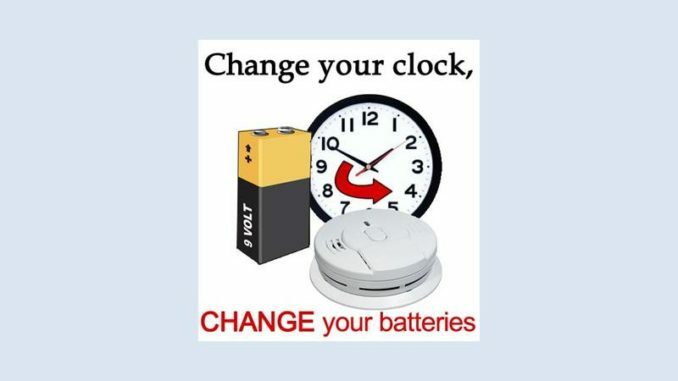 It’s also a great time to spring into action and change the batteries in your smoke and carbon monoxide detectors. After all, only working smoke and carbon monoxide alarms can save lives. The Consumer Products Safety Commission recommends that smoke alarms be placed on every level of your home, outside sleeping areas and inside bedrooms. And, don’t’ forget to have a fire escape plan and practice it with your family.